Tyler O’Connell is a partner in the Corporate and Commercial Litigation group. He represents companies, members of management and investors in business disputes before the Delaware courts. Tyler also counsels directors, officers and managers of Delaware business entities in connection with transactions that involve litigation risk. Tyler has represented parties in the Delaware Court of Chancery in disputes over the ownership, control, and management of Delaware business entities, including corporations, partnerships and limited liability companies. His clients include significant investors as well as directors, officers, general partners and other members of management. Tyler frequently litigates claims for breach of fiduciary duties and breach of limited partnership agreements and limited liability company agreements, as well as governance disputes and control contests, advancement actions, books and records litigation, appraisal actions, and other statutory proceedings under the Delaware General Corporation Law, the Delaware Limited Liability Company Act and the Delaware Revised Uniform Limited Partnership Act. 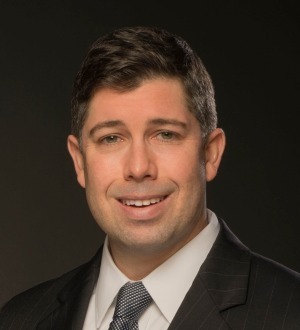 Tyler also has significant experience in general commercial litigation matters in Delaware’s other state and federal courts, including representing parties in the Complex Commercial Litigation Division of the Delaware Superior Court and in proceedings before the U.S. District Court for the District of Delaware. In addition to serving in a lead counsel role, Tyler enjoys working with non-Delaware attorneys as their local Delaware counsel. Among other honors, Tyler has been selected for inclusion in the Chancery section of Chambers USA for 2016, where he is praised for his “very good sense of how to approach the court” and his “very rigorous and meticulous” approach to legal issues.